Are you tired of carrying around those boring looking plastic cups that people give out at parties? Does your drink get warm too fast? 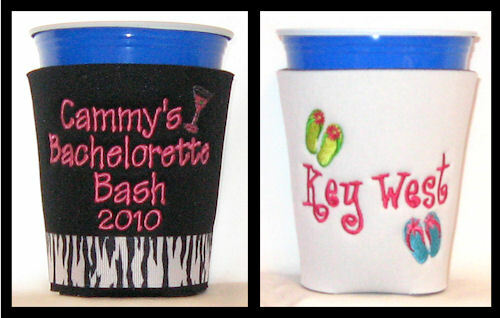 Dress up your cup with our custom solo plastic cup coolers. 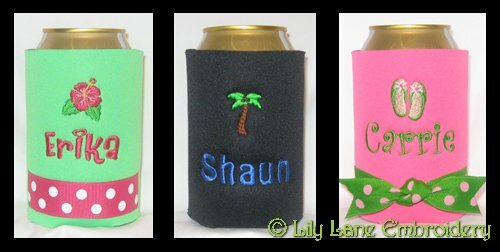 Our plastic cup coolers add pazazz to any plastic cup. Want to make sure everyone knows which plastic cup is yours? 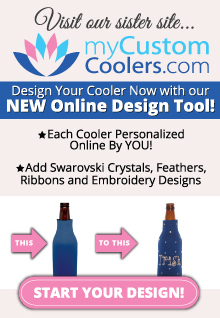 Our personalized plastic cup coolers are the perfect solution. You will never have to worry about someone drinking from your plastic cup again!